Brazilian Shrimp Stew is the perfect meal for when you’re exhausted and craving easy comfort food that doesn’t require too much time in the kitchen. It’s low carb, gluten free, rich but not heavy and relatively easy to make without sacrificing flavor or texture. Because shrimp is the key to the sensational flavors in this soup, you can create your own version by substituting your favorite seafood or chicken. 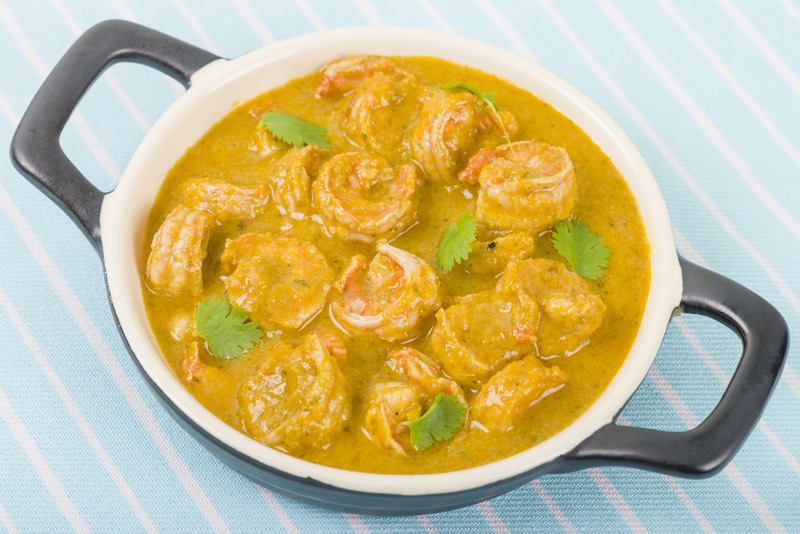 Shrimp is one of the best seafoods for people with diabetes. It has lots of Omega-3, is very high in protein, very low in fat and contains virtually no carb. Most fish and seafood is low in unhealthy saturated fats, trans fat, and cholesterol. The fat that seafood contains is mostly healthy, unsaturated fat. Seafood is a natural source of heart-healthy omega-3 fatty acids. Seafood is packed with high-quality protein. Seafood itself does not have any carbohydrate, so it will not cause blood glucose to rise. In a medium saucepan heat olive oil. Saute onions for several minutes until translucent, then add the garlic and peppers and cook for several minutes more. Add the tomatoes, shrimp and cilantro to the pan and simmer gently until the shrimp turns opaque. Pour in the coconut milk and Sriracha sauce, and cook just until heated through – do not boil. Add lime juice and season with salt and pepper to taste.